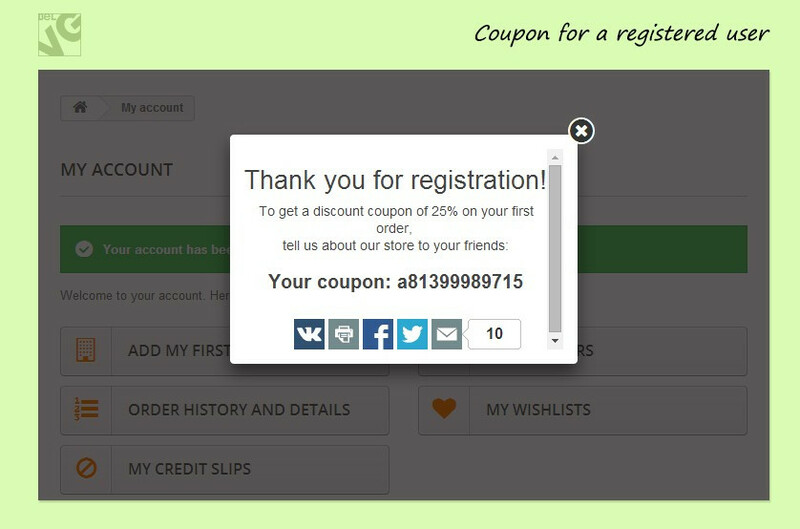 Encourage new visitors to register and make purchases in your store by installing PrestaShop Tell Friends module on your store. 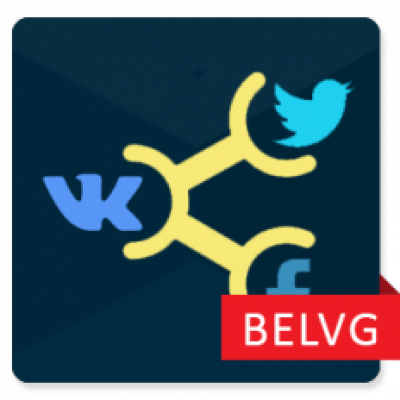 The extension lets you provide a special discount coupon for each new registered user and lets your customers share their purchases and products they like in social media accounts. Super easy to configure and use. 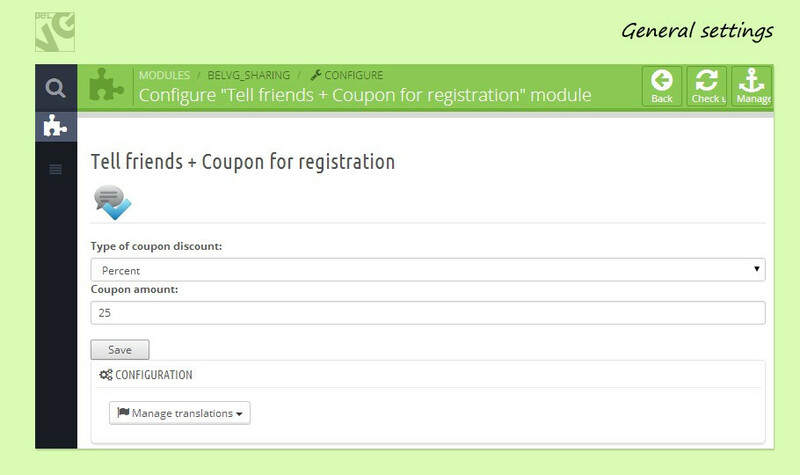 The module allows you to set up a special coupon which will be automatically displayed for newly registered users. 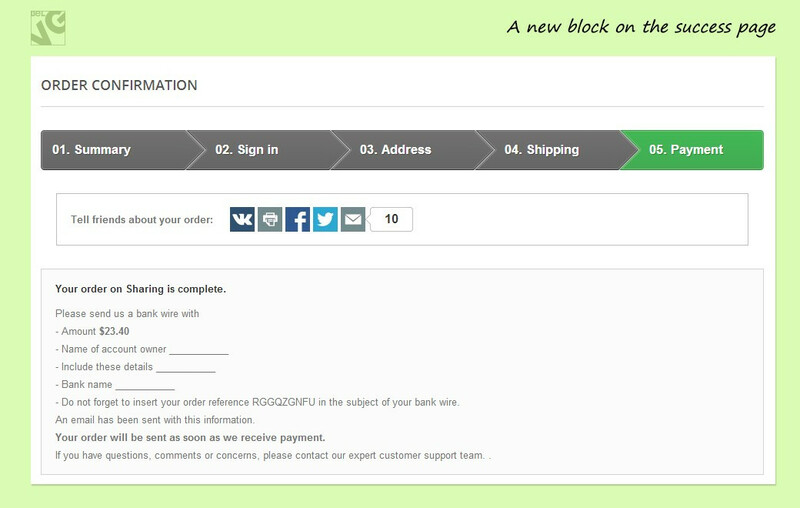 The extension also adds a new block with social media buttons for Twitter and Facebook to the product and purchase pages, which lets your customers share their purchases right via their accounts.